Can Essential Oils Promote Stronger Nails? Thick, strong nails not only look better, they feel better too. 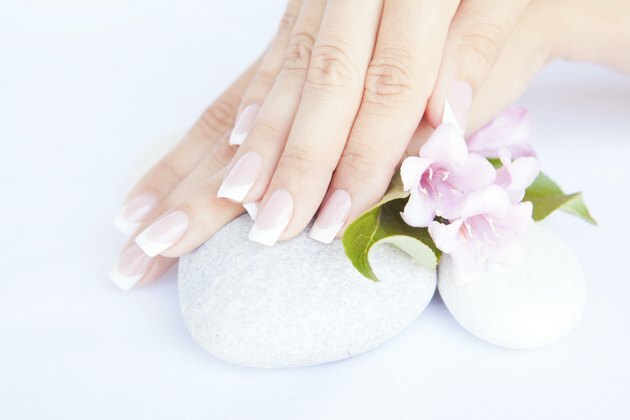 Washing dishes, exposure to nail polish remover and dry winter air are just a few of the causes of thin nails. No matter what caused them to weaken, essential oils can help strengthen and thicken your nails, returning them to a healthy condition. Lavender and jojoba essential oils can strengthen weak, brittle nails when applied daily. Other oils with strengthening properties include lemon, frankincense and myrrh oils. These oils restore moisture to reduce breakage and thinning. No matter which oil you choose, apply one to two drops onto each of your nail cuticles. Massage the oil around the cuticles and then upward over the entire surface of each nail. It’s important to apply the oil to the cuticle, as well as the nail, to nourish the new growth directly underneath it. Instead of massaging it in, you can soak your nails daily for 15 minutes in a small bowl of water and then use a cotton swab to apply the oil to your cuticles and nails. Although you may see some improvement at the base of your nail where new growth occurs, full results take longer. According to Esther’s Nail Center, it can take two to three months of continuous application to start noticing results.